semanic.org is meant to be a memorable pun for an effort with some ambitious goals including expressive non-brittle scalable ontological modeling focusing chiefly on the integration and exploitation/analysis of genealogical data within a semantic web. The semanic.org effort is described in more detail later in this site. The most recent genealogical ontology is to be found in SemanticGEDCOM.owl. The time instance data is found at http://semanic.org/RefDat/Cur/Time/. This time data is modeled in a rather unorthodox fashion that maximizes expressivity. See the reified literals paper mentioned below as well as the STIDS tutorial for more of an understanding behind the approach. The Semanic blog acts as a journal and discussion site for the effort. 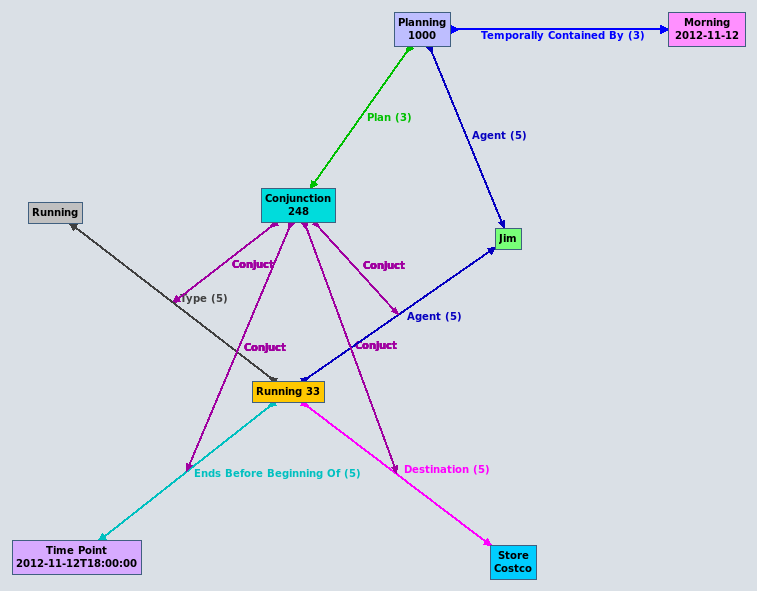 The design principles used in these ontologies were presented at STIDS 2014 as a tutorial. One of these design principles in particular was also presented at STIDS in 2010 and was entitled Peterson, E., Reified Literals: A Best Practice Candidate Design Pattern for Increased Expressivity in the Intelligence Community, Semantic Technology for Intelligence, Defense, and Security, Fairfax, VA, 2010. ISWC 2015 Tutorial Will present ontology design principles tutorial at ISWC 2015 on October 12. STIDS Tutorial Presented ontology design principles tutorial at STIDS 2014 on Tuesday. Add GeoNames reference data. Added an encoding of an initial subset of the GeoNames reference data. Time reference data 2000 years of time reference data is now availible! Added logical provenance Added logical provenance structure to support disjunction etc.